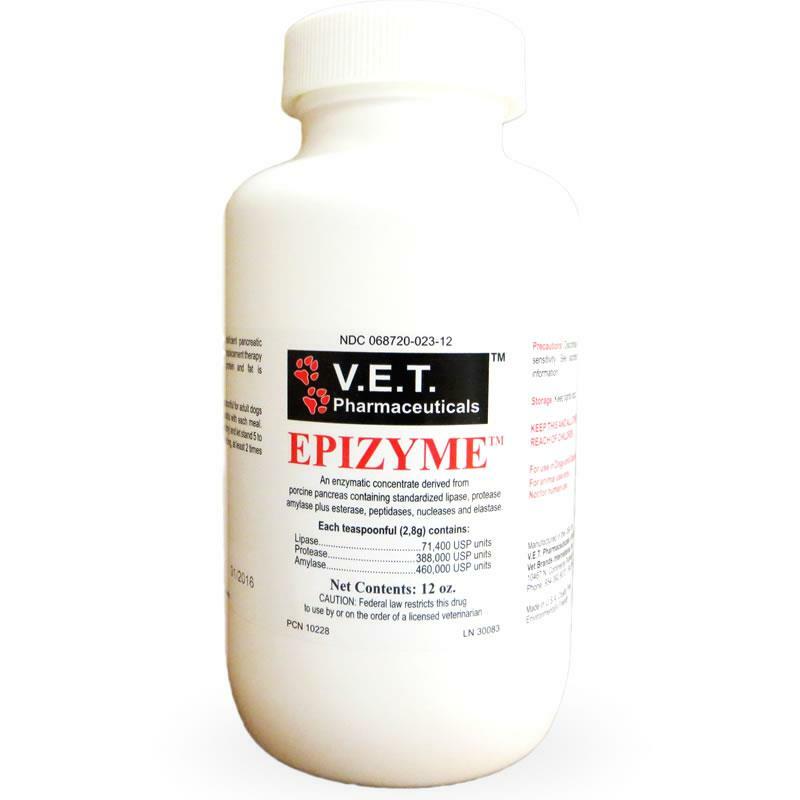 Epizyme is a mixture of pancreatic enzymes that is FDA-approved for use in cats and dogs to treat exocrine pancreatic insufficiency (also known as maldigestion syndrome). Epizyme is a mixture of pancreatic enzymes that is FDA-approved for use in cats and dogs to treat exocrine pancreatic insufficiency (also known as maldigestion syndrome). It is prescribed for pets whose pancreas has stopped producing digestive enzymes. Pancreatic enzymes are necessary for digestion, so animals who don't make enough of these enzymes get very sick and can lose a lot of weight because they cannot properly digest and absorb the fat, protein, and sugar in their food.